Naomi Osaka won the US Open after an angry Serena Williams accused the umpire of being a “thief” in some of the most dramatic scenes at a Grand Slam final. 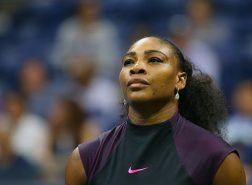 Williams was given a game penalty for her outburst, which followed racquet smashing and another code violation as Osaka won 6-2 6-4 in New York. Osaka, 20, kept her focus to become the first Japanese to win a Grand Slam. Williams refused to shake hands with umpire Carlos Ramos after the match. The American, 36, graciously congratulated Osaka at the net after the 20th seed completed an extraordinary victory and, although Williams’ behaviour will grab the attention, nothing should detract from a classy and composed display from Osaka at Flushing Meadows. “I’m sorry it had to end like this,” a crying Osaka said. 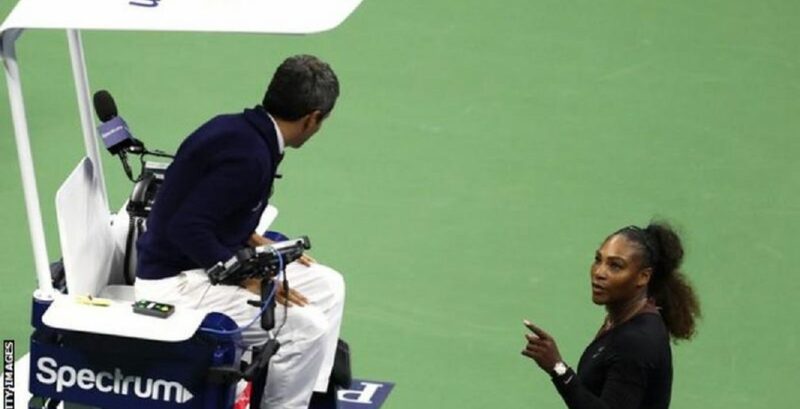 Williams was given a first code violation after Ramos judged a gesture from coach Patrick Mouratoglou to be coaching. Williams – who was aiming to equal Margaret Court’s record of 24 Grand Slam singles titles – said she had not received any tactics from Mouratoglou, telling the umpire she would “never cheat to win and would rather lose”. The Frenchman later admitted to ESPN that he had been coaching from the box. Williams then received another for a racquet smash at 3-2 in the second set, leading to Ramos docking her a point as Osaka started at 15-0 in the following game. The American was furious, walking up to Ramos, shouting and pointing at him as the crowd started booing in support of the former world number one. The drama continued as the atmosphere in Arthur Ashe Stadium became more toxic. Williams refused to let the issue slide and launched an extraordinary rant at Ramos at the changeover, with Osaka leading 4-3. “You are a liar. You will never be on a court of mine as long as you live. When are you going to give me my apology? Say you are sorry,” she told the Portuguese. That led to Ramos docking her the next game – leaving Osaka just one more away from victory at 5-3 up. Boos continued to rain down, generating incredible noise, as Williams refused to take to the court and demanded an intervention from the tournament referee. Eventually she returned to the baseline, serving out a game to love before Osaka showed remarkable focus to hold the final game that sealed her first Grand Slam win.